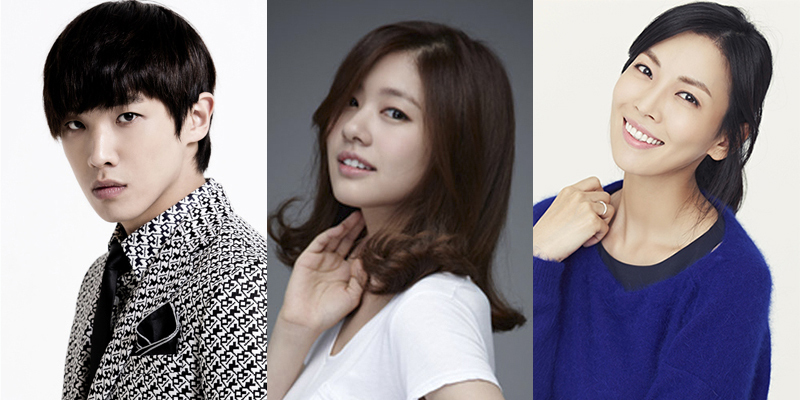 Actress Kim So-Yeon has dropped out of upcoming KBS2 drama series “Father is Strange” starring Lee Joon & Jung So-Min. Kim So-Yeon was first cast to play older sister Hye-Young, but has decided to drop out of the drama series for personal reasons. She did have discussions with the staff and made the decision to drop out of the series. The first script reading has been rescheduled from January 2, 2017 to January 8, 2017. Ryu Hwa-Young (ex ‘T-rara’ member) is still considering an offer to play the youngest sister and veteran actress Kim Hae-Sook is still considering an offer to play a major supporting character. Meanwhile, actor Ryu Soo-Young has been offered a role in the drama series and he is currently considering. If Ryu Soo-Young accepts, he will will play Cha Jung-Hwan. His character is the PD of a broadcasting station. “Father is Strange” will first air sometime during February, 2017 in South Korea.